Anyone who lives, works or studies in the city of Worcester is eligible to become a member and learn about television production, produce their own programs, or sponsor a program for broadcast. We offer student and senior discounts, and if you cannot afford the membership fee, we will work with you to make sure you can still become a member. 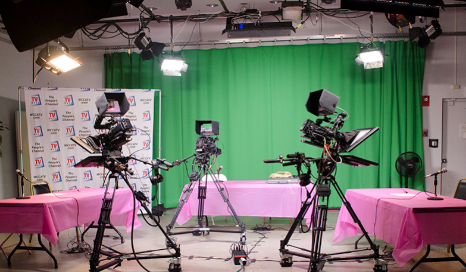 For $15.00 annually, you can learn the basics of television production including lighting, audio, and camerawork in a professional studio by assisting an experienced WCCA producer. You'll learn to edit video, add graphics and effects, and create your own DVDs using our Adobe Creative Suite workstations. Produce your own program here at WCCA's studios. 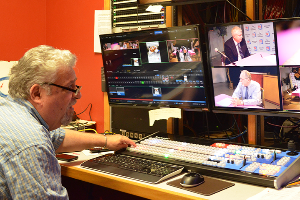 After a few intro classes, you'll have full use of our studio and Adobe edit workstations to create your own television program for broadcast on Worcester cable channel 194 and the Internet. It's an amazing value at only $45.00 annually. Do you already produce a program or know of a program that fills a special niche that the commercial stations have ignored? For $150.00 a year, you can submit programs produced elsewhere for broadcast on WCCA and our Internet stream. We offer members a Saturday a class in basic television production. Once you complete the class, you'll be able to borrow equipment and book the studio. Call 508-755-1880 and ask for Frank or email Frank.